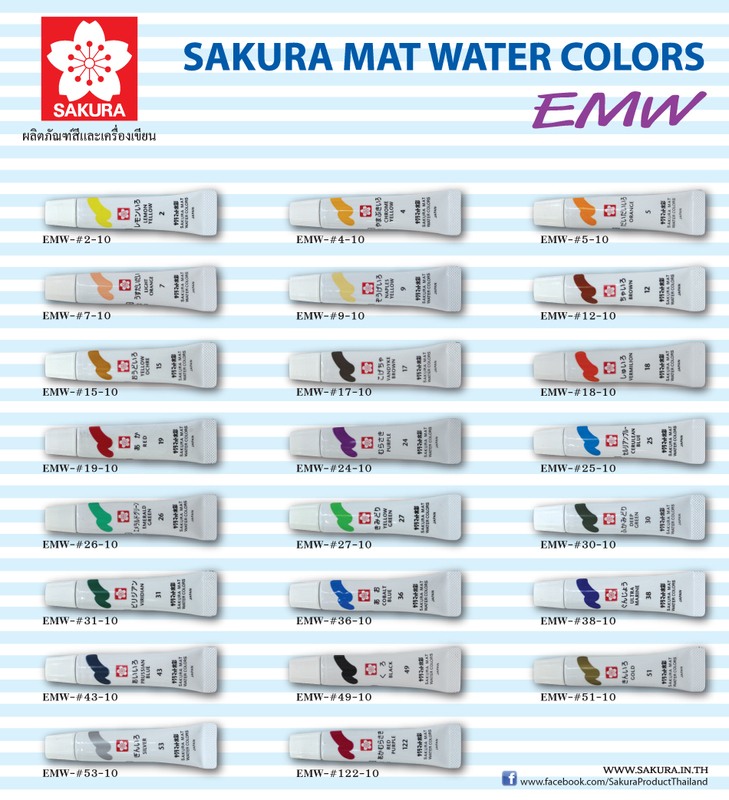 Sakura water colors contained in tubes are easy to use and very handy. The tubes are made of special material so you can easily squeeze without twisting them. 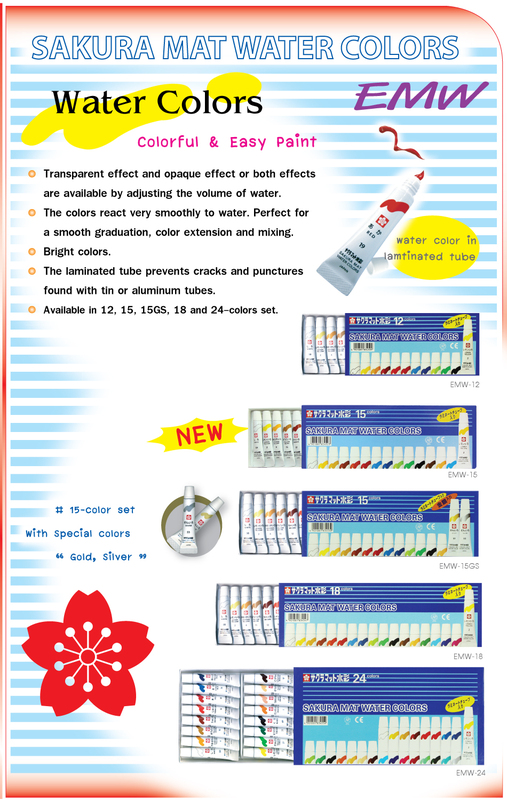 These ensure that you will be able to use all of the paints inside the tubes since the paints will neither spurt out nor dry out. The paints are very smooth so it can be evenly painted and your works will consequently come out in excellent quality. The product comes in a box of 15 colors inclusive of special colors, silver and gold.